Why not show your heart some love this romantic month of February? After all, it is what keeps you going day after day. I think that merits a little something extra special from you, don't you agree? Don't fret. I'll make it simple for you. Run to the store and grab some beets. I know what you're thinking—"Beets? Gross!". Okay, I'll admit I would not put beets on my list of top favorite foods. However, after researching all the health benefits of these super veggies, I think a slight taste aversion might be a more than fair trade for all the wonderful effects it can have on your body. Especially on your heart! 1. Protection against heart disease: Beets are rich in nitrates which increase blood flow to your heart, brain, and muscles. It can also work to open up your blood vessels allowing a greater amount of oxygen to flow and in turn regulates your blood pressure. Therefore, a steady intake of beets can act as a natural protector against heart disease. 2. Cancer fighter: Beets have been studied for their cancer fighting and preventing properties. Beets are especially well known in preventing colon cancer. Doctors have on occasion used "beet therapy" to cleanse certain blood diseases and treat patients with leukemia. Beets are rich in antioxidants which can help clear harmful substances from the body and give the body strength to fight cancer or other illnesses. 3. Mood enhancer: Beets contain a substance called betaine. Betaine acts as a natural mood enhancer. In some cases it has been known to treat depression. Beets are also naturally high in carbohydrates which give an instant energy boost when you are feeling tired or sluggish. Beets contain the highest amount of nutritional value in their raw form. 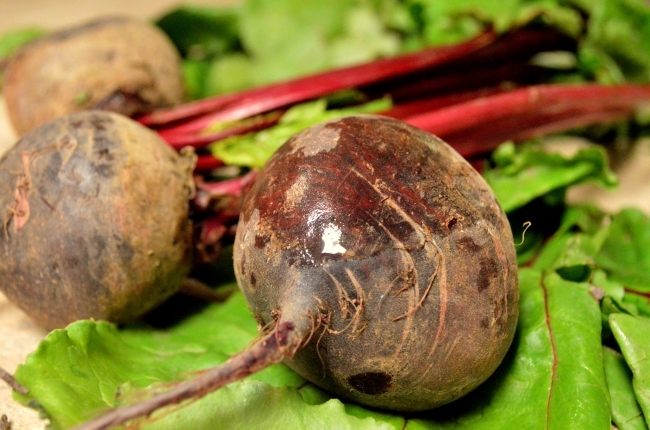 Juicing raw beets is a particularly popular way to get the most health benefits from beets. It is recommended you drink 8 ounces of raw beet juice daily to lower your blood pressure and help prevent heart disease. If juicing is not for you, then cooking and eating beets is still an excellent way to improve your overall health. Let's keep that heart "beet"ing as long as we can!